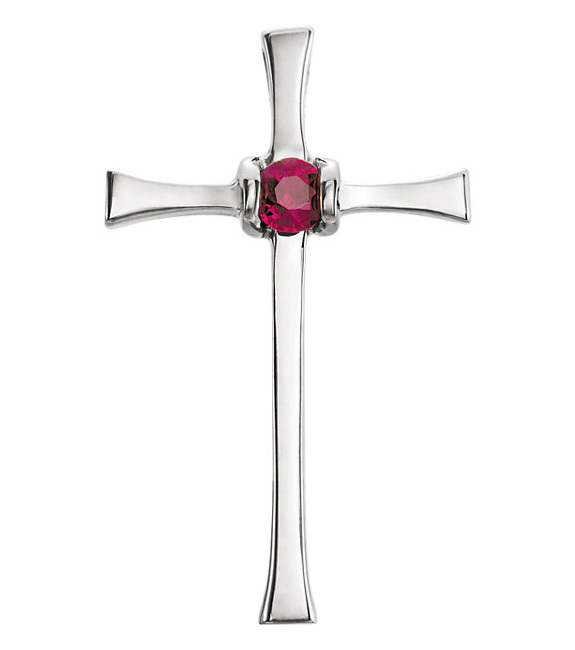 A 14k white gold cross necklace is set with a genuine ruby gemstone at the center of the cross with a hidden bale in the back. The advantage of the hidden bale is that the hoop/bale does not detract from the simple and elegant design of the ruby cross necklace. The cross pendant measures 13/16" tall x 1/2" wide. The ruby center stone measures 2.5mm round. 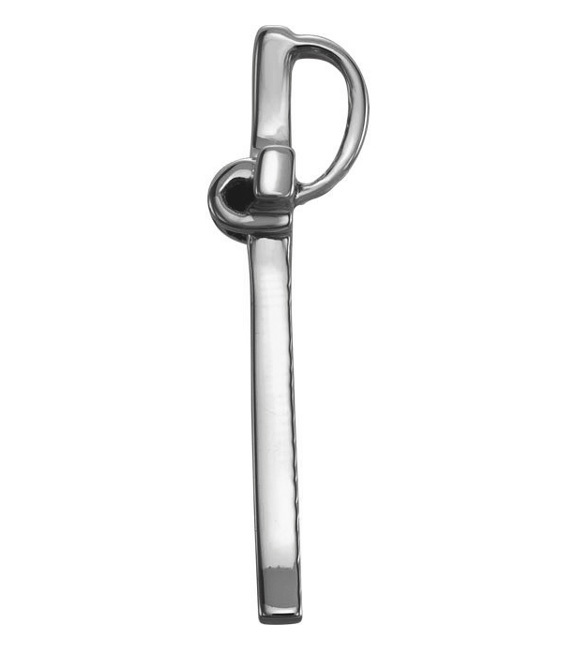 Also add a matching 1mm 14k solid white gold cable chain in 18" or 20" to match. "There is gold, and a multitude of rubies: but the lips of knowledge are a precious jewel" (Proverbs 20:15). We guarantee our 14K White Gold Ruby Cross Necklace with Hidden Bale to be high quality, authentic jewelry, as described above.